Entering into the world of foster care is a big step for any person. The more information you have and the more you prepare, the better the experience will be for you and the child you are taking into your home. Are you thinking about becoming a foster care family for a child in need? This is a great way to help children that are often in difficult situations with little to no family. Each case is different, just like each child is different. When you open the doors of your home to someone new, consider these three tips for creating relationships. Going into foster care is never easy for any child. He or she is completely moving from the people and environment that they are accustomed to and starting all over again. New people, a new home, and maybe even a new school add to the overwhelming transition. In order to make the experience a little better, create a positive environment for the child. It begins by letting this child know that they are welcome in your home. Start by making sure that you verbalize the welcome. Let them know that they are entering a place that is safe and your priority is to make them feel comfortable, despite the situation. Make sure that everyone in your family is doing the same. 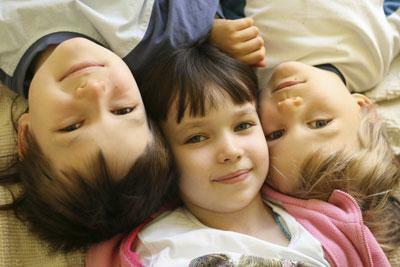 Having his or own space is important to a child in foster care, as well. This is another great way to create a positive environment. This does not mean that you need to go out and buy all new items. You just want to show the child that you were preparing for their arrival. At that moment, you are not just telling them that they are welcome, you are showing them. In most cases, you cannot be sure exactly what your foster care child has experienced. You may get extensive details or you may get none. In both situations, be compassionate. Remember that this is such a difficult transition for them to make. It is not always going to be easily and it may take some time for things to get into a smooth routine. You cannot expect someone to immediately fall into place within the family. Kind words and actions go a long way. You do not want to lower your expectations or allow someone to come into your home and not follow the rules. However, you do want to work with the child to help him or her fit in. It will take some extra care and attention, but the results will be well worth it. It is not about the amount of time you spend together. It is about the quality of that time. Learn more about your foster care child. What is he interested in? What are her hobbies? How do they enjoy spending their free time? This is a great way to get to know someone new. This one-on-one time builds up a positive relationship. In addition to individual time, spend time together as a family. If you have other children, set up time for fun activities that you will all enjoy. Remember that your children are also getting to know someone new and you want it to be the best experience possible for everyone involved.